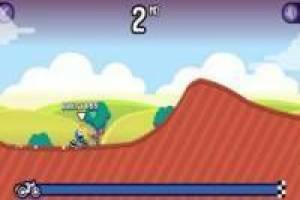 Live the most exciting BMX races online by facing other players from all corners of the world. You will have to start the game and wait until two other players are available, that will take a few seconds. While waiting at the bottom they will explain the keys you should use during the game. 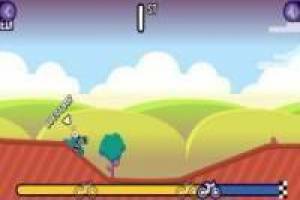 You will only need the left and right arrows of the directional cursor to move your character and do pirouettes in the air to take more speed. Cross the finish line before the rest of your opponents to win and take a lot of coins. You can redeem these coins for new skins with which to play many other BMX Online races. 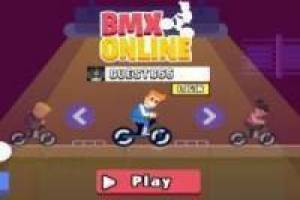 Enjoy the game BMX Online, it's free, it's one of our bikes games we've selected.